A number of years ago, my husband received orders to Hawaii. We had never even visited Hawaii before moving there, so we hopped on a plane, ready for a new adventure. The first week or so we were there, we stayed in a hotel, while we figured out where we were going to live (and all those minor details). So, naturally, while staying in the hotel, we did some touristy things. 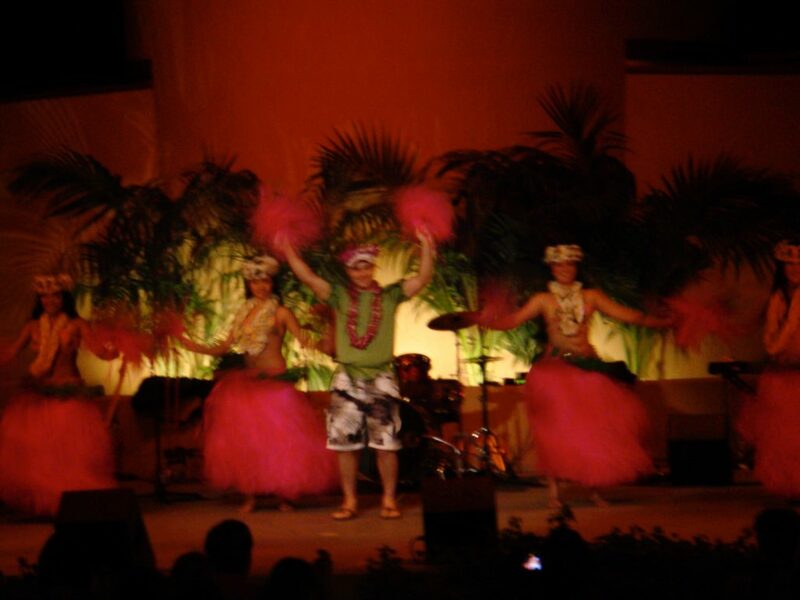 One of my first, and favorite, memories in Hawaii is at a luau. My husband was even picked out of the crowd and invited up to dance with the Hula Dancers (Evidence on the right). The picture is blurry because I was far away and everyone was dancing, but I still get a kick out of it. 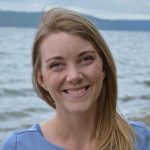 The luau was a fun introduction to a new culture and some very tasty food, including Kalua Pork. We don’t live in Hawaii any more, but this recipe brings me back. It actually took me a couple tries to this recipe right. It just wasn’t coming out as tender as I wanted. 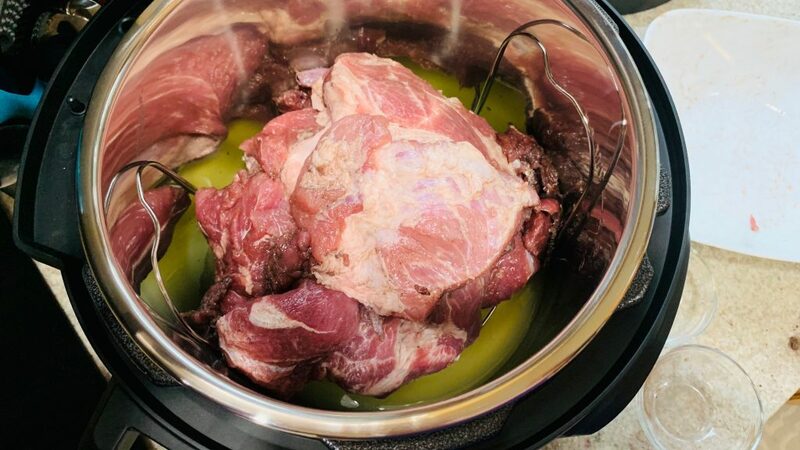 In the end, the trick was more time cooking and cutting up the pork shoulder before putting it in the instant pot. 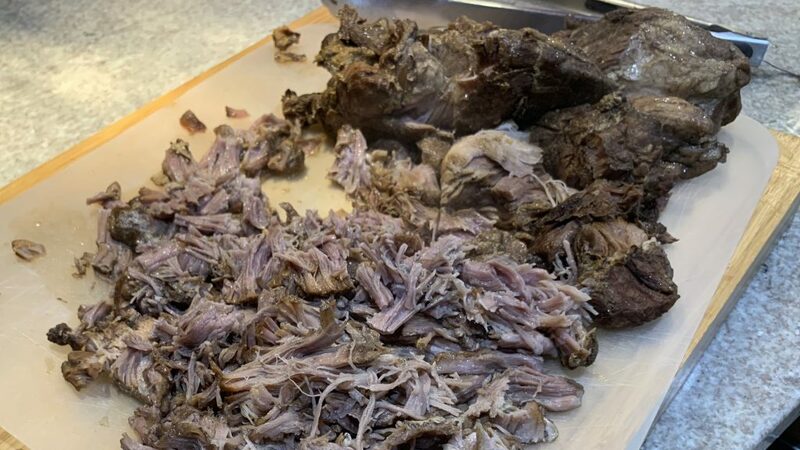 First, to recreate the smokey flavor traditional slow-roasted Kalua pork gets from the hardwood fire, I use liquid smoke and smoked salt and rub it all over the meat. You can use regular salt if you can’t find smoked salt. 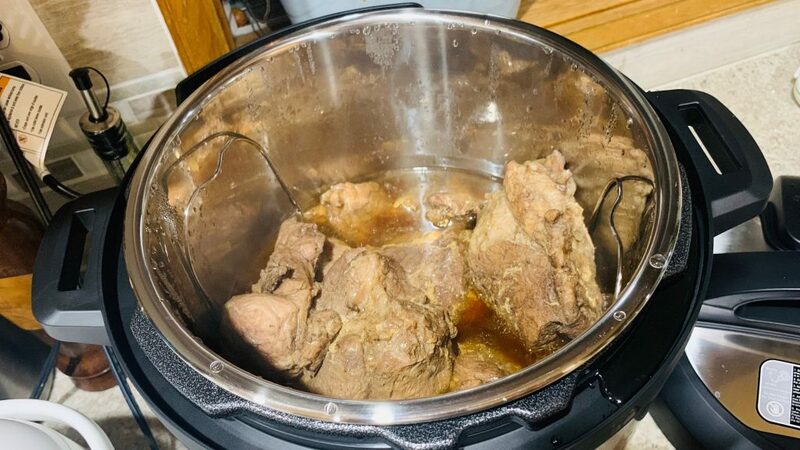 In addition, I chose to use pineapple juice as the liquid in my Instant Pot Kalua Pork, for a little more tropical flavor. 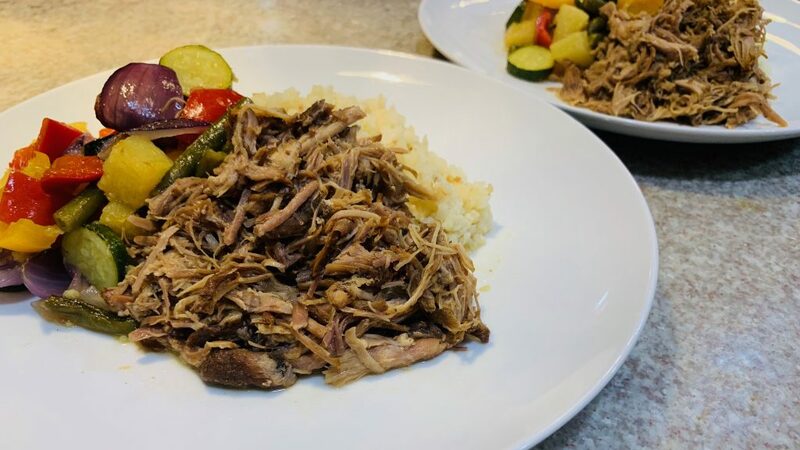 After 90 minutes at high pressure, the Instant Pot Kalua Pork is juicy and tender. 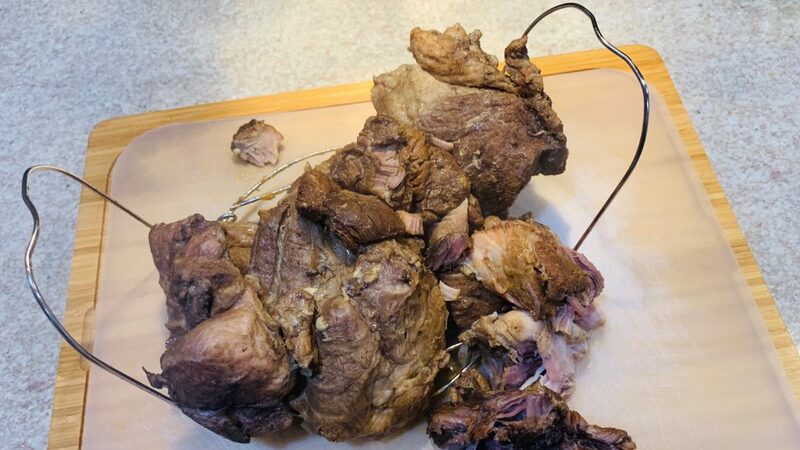 It was nice to have the handles on the cooking rack to remove the pork because it was fall-apart tender. 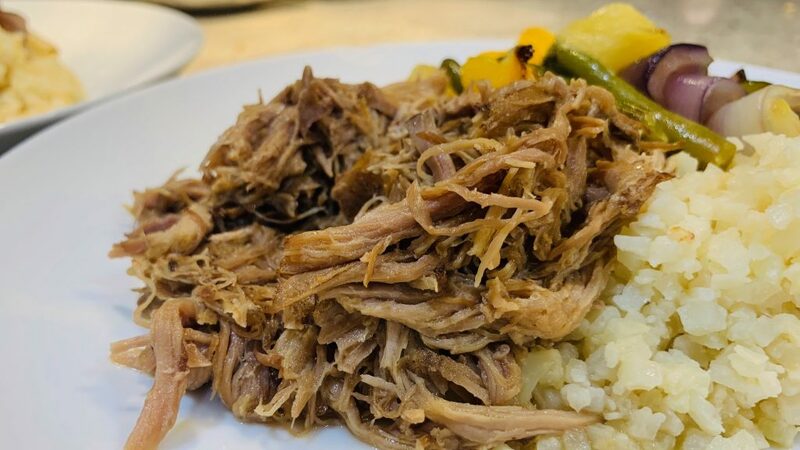 After removing the pork from the pressure cooker, you just shred it with two forks and add it back into the cooking liquid. The cooking liquid makes it more juicy and flavorful. 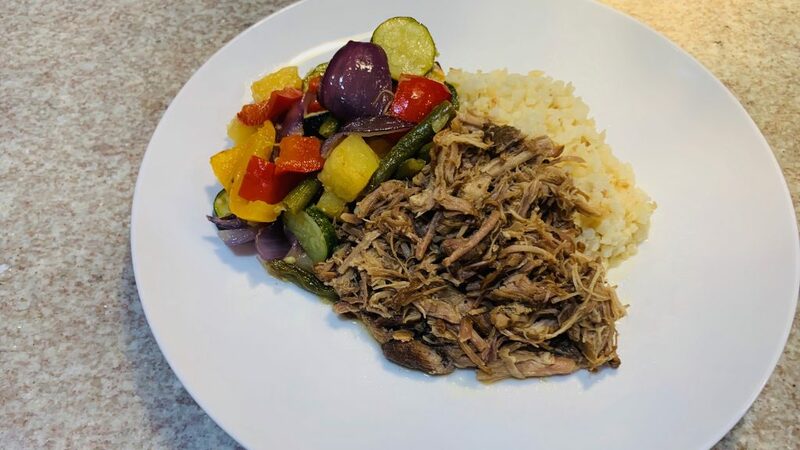 I served my Instant Pot Kalua Pork with Oven Roasted Hawaiian Vegetables. 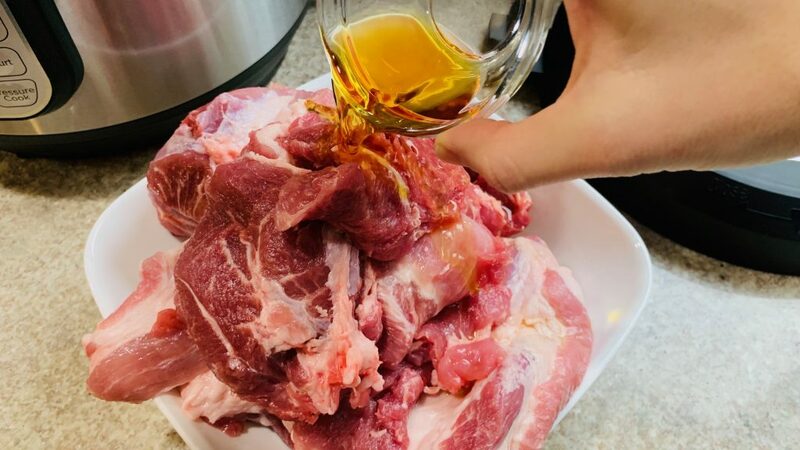 Trim as much fat off the pork shoulder as you can, remove the bone if necessary, and cut into large chunks. Discard the fat and bone. 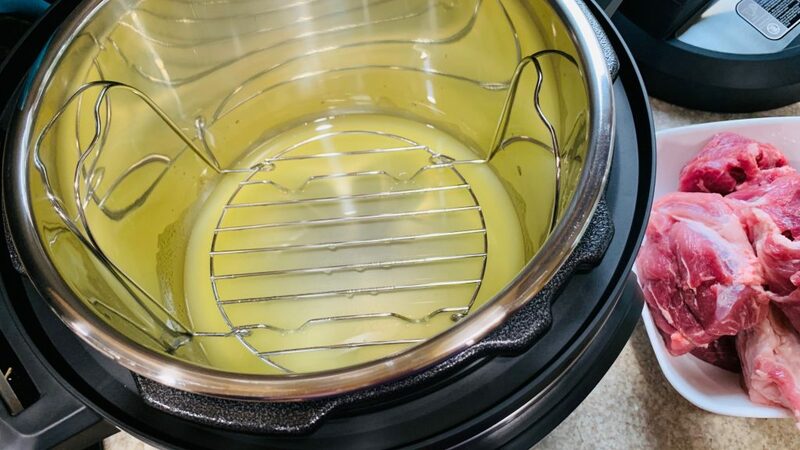 Add the pineapple juice to the Pressure Cooker – Instant Pot and the cooking rack. 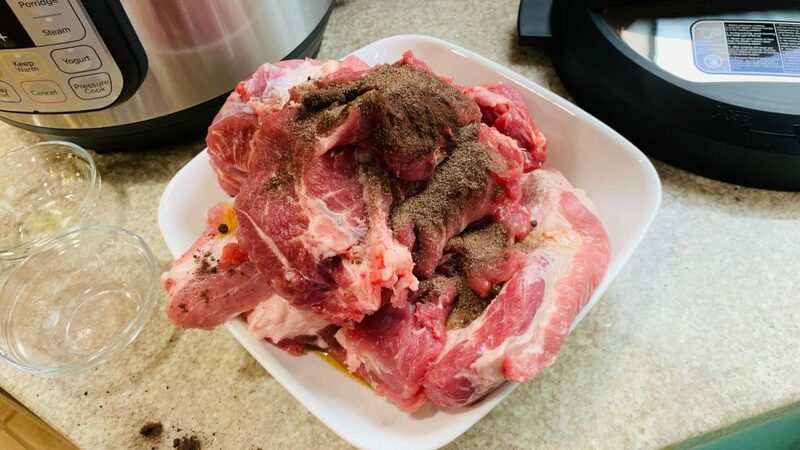 In a bowl, pour the liquid smoke and salt (smoked salt if you have it) over the pork. Toss with your hands until all pieces are covered. 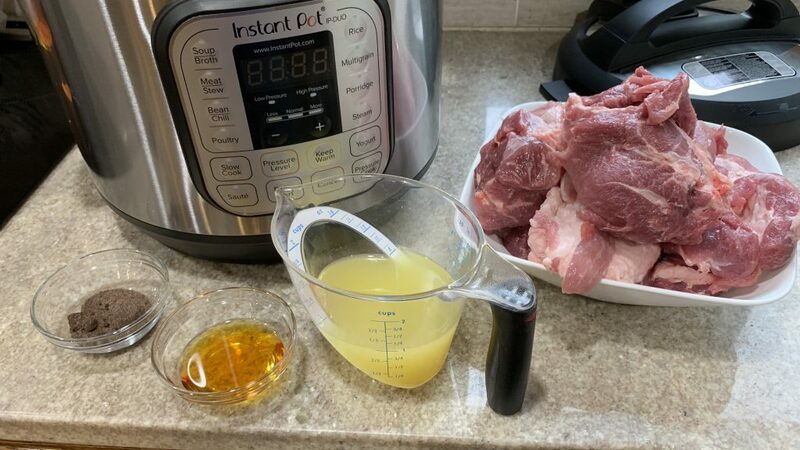 Add the pork to the Instant Pot, along with any liquid left in the bowl. Pressure Cook the pork for 90 minutes on High Pressure and then let the pressure naturally release (about 20 minutes). 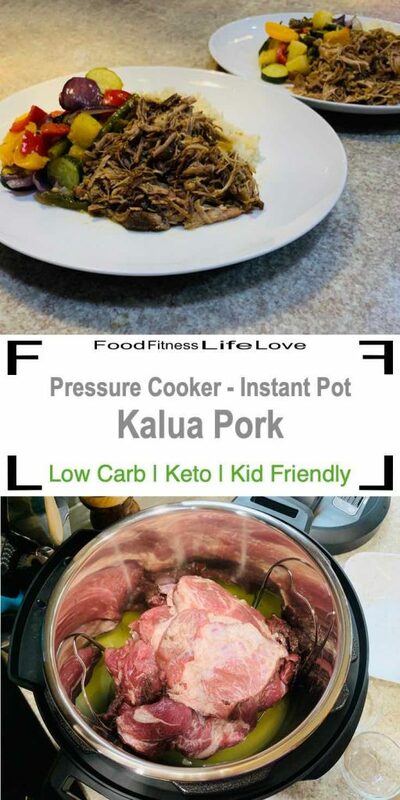 After the pressure has released naturally, remove the pork from the pot and shred with two forks. Remove any extra fat as you’re shredding. Add the pork back to the pot and mix with the juices. Serve and enjoy. Make it a Meal: Tastes great with Oven Roasted Hawaiian Vegetables.